When saying “Meagher County,” people often pronounce it “Mee-ger” instead of “Mar” (which is the correct way). And while phonetics are mostly to blame for this, it’s likely that (subconsciously) the offenders are associating the county’s name with its size. Meagher County is one of about a dozen in the state with a population of less than 2,000; yet, its quality of life is anything but meager. Among Meagher County’s attractive qualities is its recent upsurge in community pride. White Sulphur Springs, the county seat, has seen particular improvement. Main Street is completely renovated, and new businesses have created a thriving economy that not long ago was hard hit by the death of the local logging industry. “We’re cleaning up our county. We’re connecting our disconnected communities,” says Frazer. One project that’s uniting the county is the Meagher County Art and Cultural Trail. 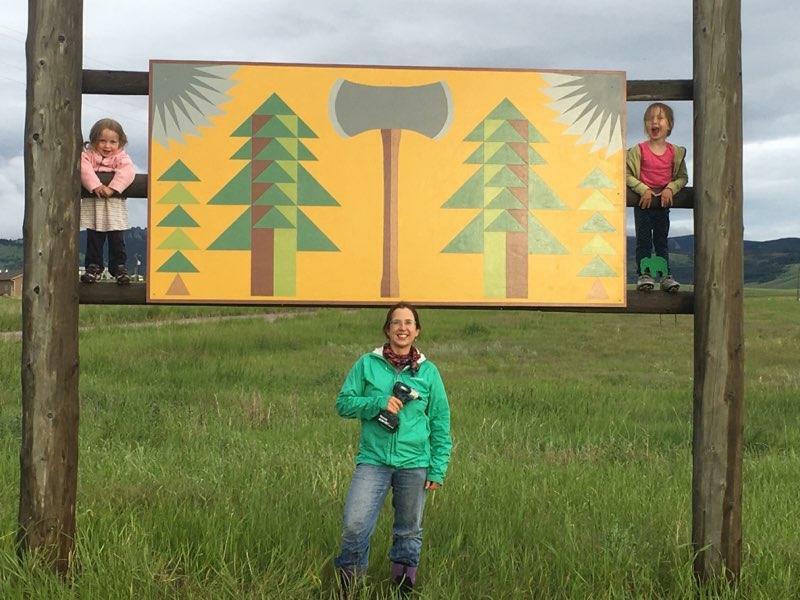 Businesses and individuals from White Sulphur Springs, Ringling, Martinsdale, Checkerboard, Lennep, and the surrounding areas have put up paintings and metalwork for viewing by the public. A majority of these are barn quilts, works of hand-painted wood art that emulate quilting design styles. Paper maps for the self-guided auto trail can be found in local businesses around the county, and digital maps can be obtained as well. Frazer, skilled in Geographic Information Systems (GIS), has created interactive maps that can be downloaded to smartphones and GPS map readers. These maps include information on each artwork as well as numerous historic sites in the area.